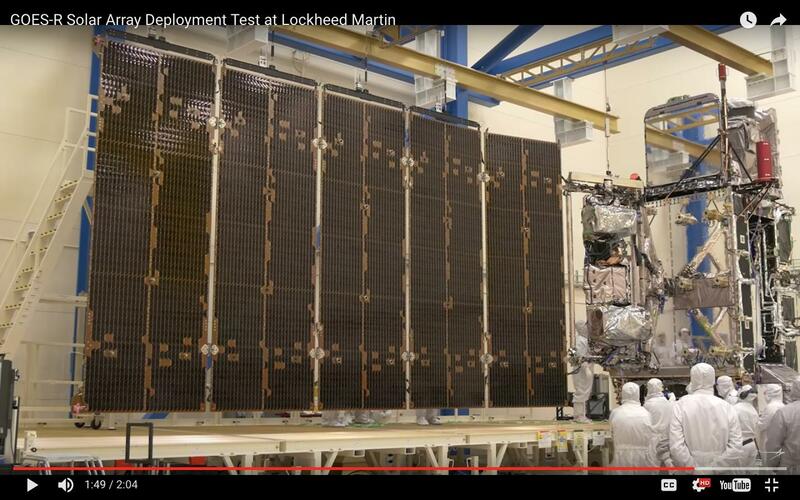 How will GOES-R simultaneously point some instruments down at Earth and others sunward? GOES-R is scheduled to launch soon and put in geostationary orbit over North America for high bandwidth continuous monitoring of Earth, with only 120 minutes per year interruptions caused by stationkeeping. It will simultaneously monitor the sun with several instruments and of course it's solar panel. 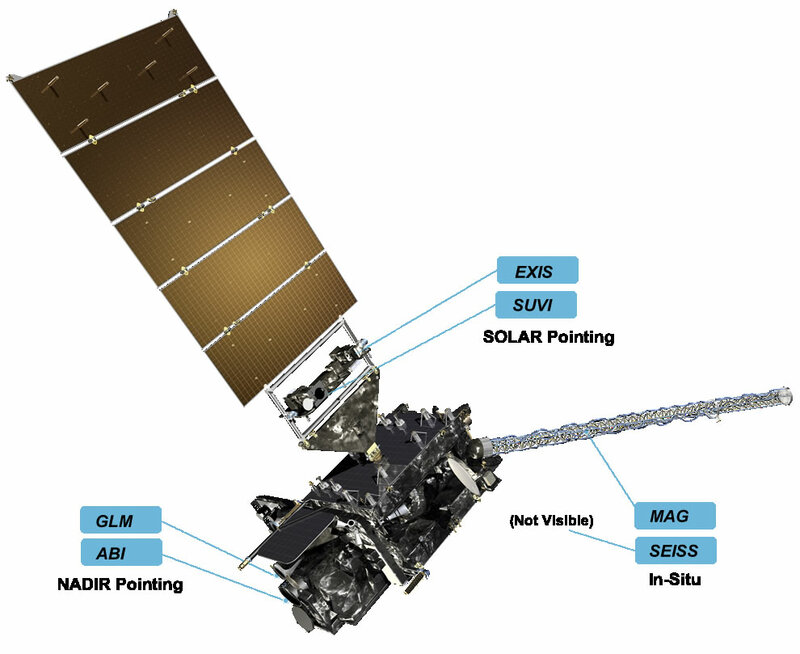 The GOES-R Website describes the satellite in detail throughout many pages and links, and two images are shown below. I assume that over the course of each day, the shaft that supports the solar pannels and sun-pointing insturments rotates 360 degrees relative to the body of the spacecraft. How do all of the wires for power from the pannels and signal and control connections for the sun-pointing instruments not get twisted up and break after a few days of continuous rotation? Watch the video below to get a perspecive of the size. above: screenshot from YouTube video. 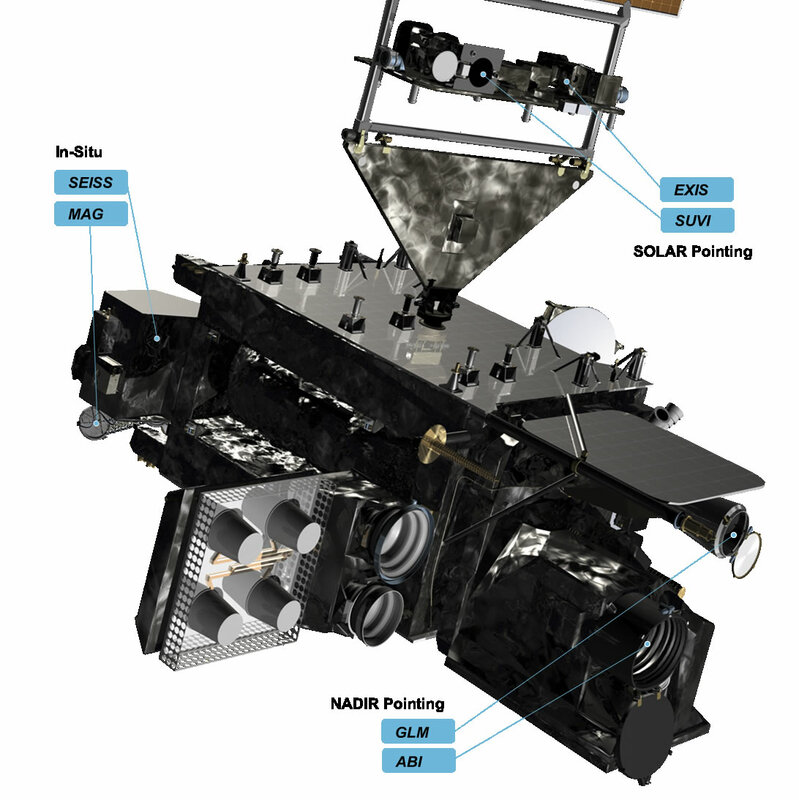 above x2: annotated illustrations of GOES-R spacecraft and its nadir-pointing and sun-pointing instruments. Goes-R uses a Slip Ring Assembly to transfer power and communications signals from the rotating solar wing to the stationary spacecraft body. The signals going through the slip ring use the SpaceWire network protocol to minimize the number of connections. Slip rings come in several different shapes, using brushes, or sliding or rolling contacts to transfer electrical signals. Rolling contacts are used e.g. for the Alpha joints on the ISS (which support the large solar panels). Slip rings can contain a large number of contacts. This example has 6 contacts, but the same type is available with 70 contacts. You can also get slip rings for hydraulics and radar signals (using waveguides), for example. Slip rings suffer from electrical noise when rotating: it's very difficult to make perfect contact at all times. The circuits connected by the slip ring have to take this into account. a slip ring assy can transfer large amounts of power without polluting the local EM environment. 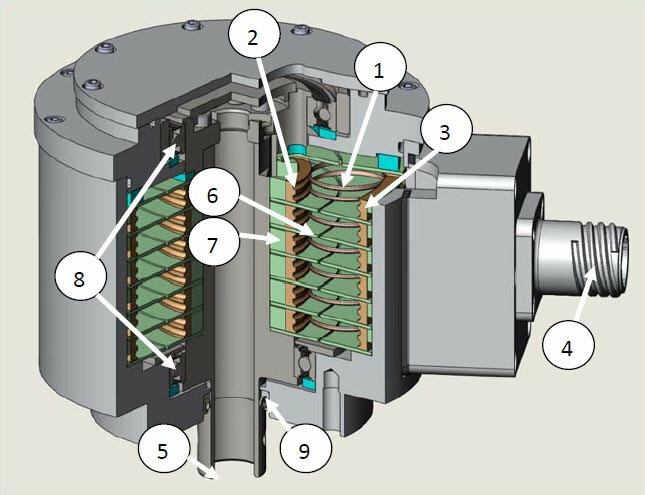 a slip ring is a passive component, far less complex than a transmitter/receiver combination. The GOES-N data book is an extensive description of GOES-P's predecessor. It contains some information on the use of slip rings in that program. GOES-P uses a different design. Not the answer you're looking for? Browse other questions tagged artificial-satellite spacecraft solar-power or ask your own question. Why was SpaceWire designed with nine wires? Harpooning satellites? Is this really the best way to get them under control? What are these very large, square panels on Inmarsat 5? Why do the solar panels on the seven Sentinel configurations look so completely different from each other? Why aren't landers designed to point their solar panels and radio antennas to Sun and Earth? How far from earth have atomic clocks (or ultra-stable oscillators) been placed and monitored? How to calculate azimuth and elevation angles from satellite point of view of a ground station? How close will the cubesats be when numerous of them are launched simultaneously?